Firstly, and most importantly, weddings are not a training ground for photographers. Your knowledge of photography, your camera, lenses and other equipment should be beyond “beginner” level before you venture into wedding photography. You need to know how to use your camera in full manual mode and be comfortable with it. You should also know when and how to use aperture priority and shutter priority modes. You should know how to switch between settings in seconds as moments in a wedding go by very quick and a missed shot at a critical moment cannot be repeated. Never experiment or “try” a wedding just because your model and/or other outdoor photography is good. Weddings are very different from other forms of photography in that there is a constant flow of things happening beyond the photographers control which need to be captured as they happen. Secondly, you need to cover a few weddings as a second, backup or shadow photographer in order to learn how things work and learn the flow of a wedding. You can do this by contacting experienced wedding photographers and offering to do assistant work or shadow photography for them. You may be asked to do more than just take photos, such as move lights, flash stands, hold reflectors, etc. Consider these tasks training! If you are asked to hold and control a reflector it means you are there to see how an experienced photographer does things. You could also offer your services to an engaged couple who already have a hired professional wedding photographer for free as second photographer. It is important that they already have a hired professional wedding photographer and understand that you will only be taking extras as no charge. Follow that photographer, even if you have to do so at a distance. Note how things are done and how they follow the flow of a wedding. Stay behind them at all times as this will be the best vantage point to pick up tips. Don’t bother with trying to take many photos, but learn by seeing what the professional wedding photographer does. 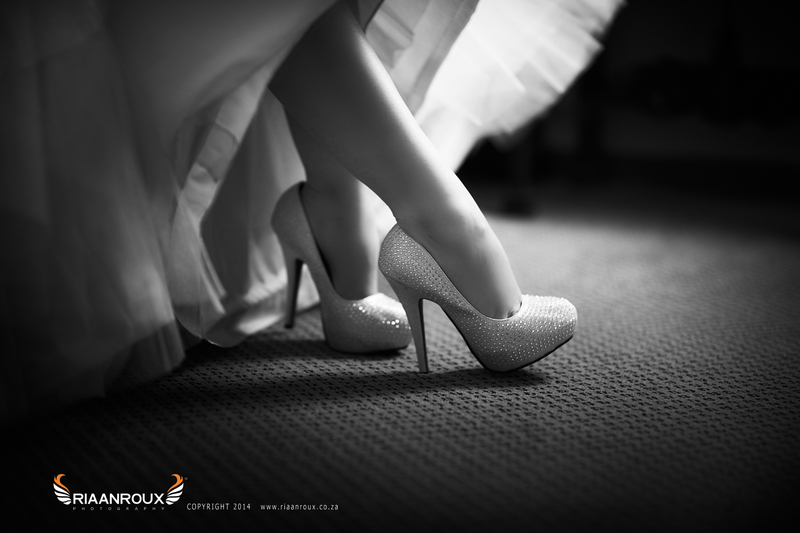 Shadowing a professional wedding photographer also gives you an opportunity to build a portfolio of wedding photos to show to future prospective clients! Thirdly, get backup equipment for everything you have and need to complete any shoot. This means a backup camera, lens, flash, memory cards and anything else critical to taking photos in your style. Take your equipment list and randomly remove a single item and ask yourself if you can complete a wedding shoot from start to finish without that one item. Never believe you are not going to run into problems. I have seen brand new high-end camera bodies fail after less than 200 shots! Backup batteries for each camera body is a must. The above points are very important, but there are a number of other points which, while important, are less critical. Below are some more pointers which need serious consideration if you plan on moving into the very competitive wedding photography arena. The truth be told, yes, entry level camera bodies can be used to do wedding photography! But, and there are many other buts, you must note that you are using entry level equipment which does not equal higher end equipment. Entry level cameras are meant to be used by amateur and hobby photographers. Though in many cases they may almost match high-end bodies under certain photographic conditions they lack the sensor quality and function control found in higher end cameras. An entry level camera body can be a backup, but it is not recommended as your main camera. If you do not own at least 2 camera bodies then you should not be doing wedding photography, you must have a backup. If your camera body fails, and they do, during a wedding you risk not only the photos for the remainder of that wedding and the scorn of the couple, but also your reputation! 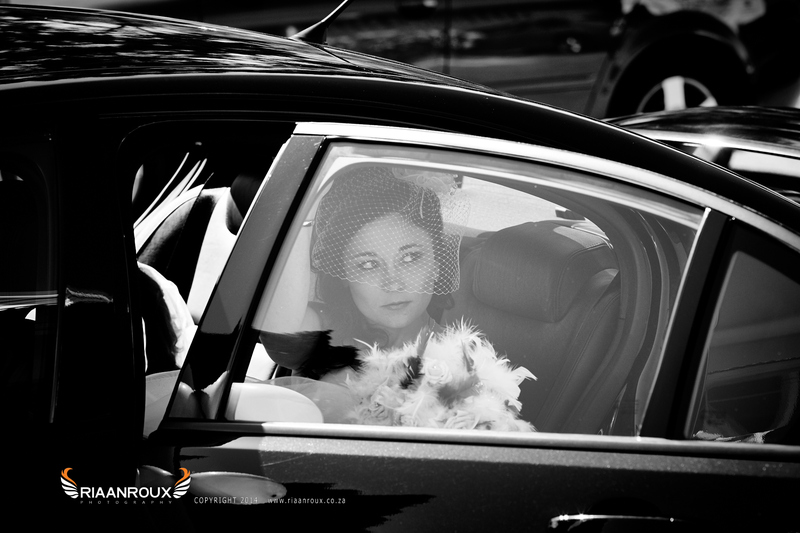 Once word spreads that you could not complete a wedding shoot you may not only lose opportunities as a great up and coming wedding photographer, but other photographic opportunities as well! Kit lenses, the one that came with your entry level camera, is not enough to cover a wedding. These lenses are of significantly lower quality than professional lenses, and not only in build, but the quality of the glass too. I still have 2 kit lenses from previous camera bodies, but they are never used (except for demonstration purposes). Once you buy you first “fast” lens you soon realise how bad a kit lens is. A kit lens is usually an 18-55mm f/3.5-5.6 lens which is OK for general purpose outdoor sunlight photography, but they all suffer the same problem when lighting is poor in that the maximum aperture of f/3.5 just doesn’t allow enough light in. A “slow” lens (max aperture of f/3.5) in poor lighting conditions force you to use strong unflattering flash light and/slow shutter speeds combined with higher ISO which results in grainy and/or motion blur photos. These lenses are generally not very sharp due to cheaper production and lower quality lens glass. They all have a slight blurriness around edges of images, even when stopped down to f/8 in good light. At the very least you should invest in a 50mm Prime (or Fixed Focal) lens for your backup camera body and a 24-70mm f/2.8 lens for you main body. This combination will bring you joy in most wedding photography situations. You should own at least 2 flashes with a Guide Number of 32 or better. If you do not know what a flash guide number is you should not be doing wedding photography yet. Search Google for “Flash Guide Number Chuck McKern” to understand how this works. Learn how to soften the light from your flash and how to bounce light from anything and everything! Remember that bouncing light from coloured surfaces will give a colour cast. In one case I bounced light from a best-mans shirt to get a shot! Do not put your flash on your camera and just keep it pointed at the couple as this results in very flat looking images and harsh background shadows. If you do not own a diffuser, get 2 (you need a backup) and learn to use them. If possible get a set of light stands for your flashes and a wireless trigger set so you can control direction and quality (hard/soft) of the light from your flash units without mounting on the camera. Light from wireless triggered flashes produce flattering shadows when used in combination with soft-boxes (even mini-soft-boxes) and result in photos your wedding couple will love! Choose your memory cards for wedding photography carefully. You want high quality cards and more than enough for both your camera bodies. Avoid huge memory cards which can store all your photos from start to finish. If you have done enough photography you will know that memory cards can unexpectedly corrupt, irrespective of quality of the card, and you could lose all the images. I recommend a number of smaller cards to store 300-400 photos (in RAW format) then swap out with another. If a card goes corrupt you will not lose everything. Get a high quality card holder which is weatherproof to store your cards in. Before you go to a wedding your cards should be empty! NEVER format a card at a wedding because you think it just has old photos… I have seen a wedding photographer accidentally wipe the entire pre-ceremony shots this way. If you are not shooting your photos in RAW format you should look this up, study it, and use it. You will soon realize the advantages of RAW once you get the hang of it. Shooting in JPG mode gives you photos which are compressed in a lossy format to begin with. As you edit JPG images their quality degrades further and further with every edit and save. JPG should be reserved for your final images and your working set should consist of only RAW or TIFF images. 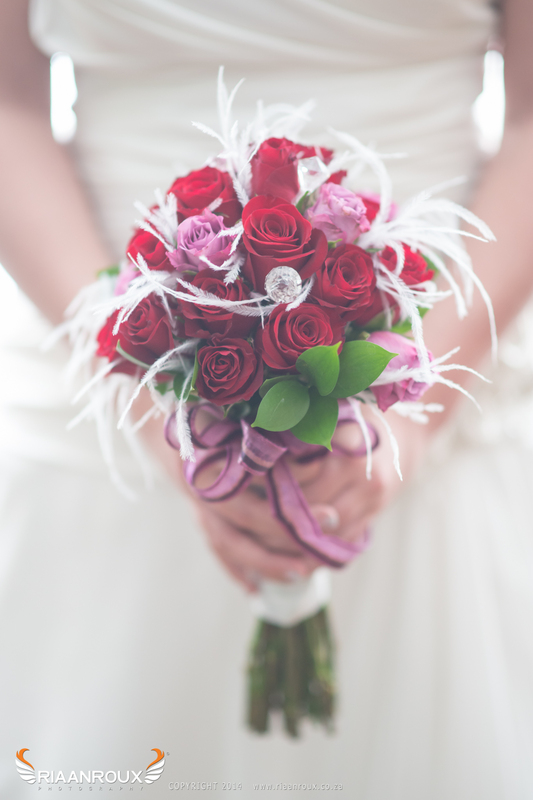 Once you are confident you have the above covered your next step would be to set up wedding packages and prices. This is an area which is pretty personal and there are many ways to do this. Pricing your packages is the hardest part, but this is covered in the previous article, so refer back to it if need be (link at top). I have seen many young photographers who buy their first dSLR, or are given one as a gift, and decide that they want to become a full time professional photographer, but who fail miserably after a couple of months. Why is this? The main reason is that they start with cheap photography which cannot cover the costs of survival which ultimately results in a failed business. You could have the best talent for taking photos on earth, but if you do not combine this with a sound business model you are doomed to failure. Young photographers starting out in the world of photography generally tend to make up an arbitrary amount that they set as their photography rate without putting a business or income model into the equation. They do not even investigate the market to see how much business is really available to them for their geographic location and eventually end up with too little photographic work to bring in an income which is enough to sustain them. How much money do I need to survive? If you are a young student living with your parents you may not need much, but eventually you need to get out there and live on your own, so look at real world examples. In South Africa the cost of living is fairly high and the below figures are a conservative survival guide only. If the above seems like a lot consider that insurance, medical aid, maintenance (home and car), replacement and upgrade of equipment, entertainment, advertising and numerous other expenses have not even been added! This survival figure can grow rapidly. So let’s stick with R10000.00 as a minimum survival value. Let’s first look at what providing photos to a customer entails. We assume you will be working without a studio and do all shoots on location. If you decide to start a studio there are even more costs you need to bring into your equation, but for the purposes of this article we will not be working with studio costs. Assuming you take just 100 photos (which is really conservative as you could take 200-300 in an hour) and spend just 2 minutes per photo adjusting colour, exposure, contrast, white balance and do small edits, you end up with 200 minutes of work! This is actually over 3 hours, but I am being conservative and adding the extra 20 minutes to other things. This means a 1 hour shoot takes 5 hours to complete the work as a total. If the customer then requests prints or your package includes prints you can add another hour (drive to print shop, have prints done, collect and return home). Keep this in mind as it affects your working total which is excluded from this article! But since we are working on 8 hour working days you are still short 3 hours work to make your daily target of R384.00, but let us ignore this for a moment and work on a shoot value of R240.00 per hour. You still need to make R10000.00 for the month, so at R240.00 per 1hour photo shoot you will need to do 42 photo shoots for the month just to survive. To get 42 photo shoots you need a constant stream of customers. You will need to advertise heavily to achieve this which will add additional cost which will raise your shooting cost again. Assuming you start advertising like crazy for free somehow it is unlikely you are going to get 42 customers to achieve your survival target. Let’s thin the available photo shoots down a little to a real expectation of 21, which is half the number of photo shoots, then you need to double your per hour shoot value to R480.00 to survive. 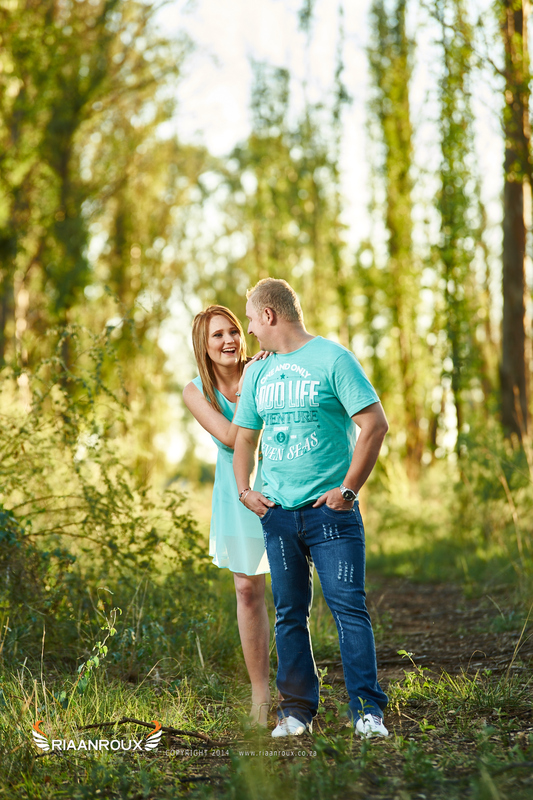 Here you then end up with a realistic photographic shoot value of R480.00 per 1 hour session supplying just 100 edited photos on a disk provided you get at least 21 customers in any given month. Consider that we are working on a survival value which provides no option for expansion of business in terms of equipment upgrades (lenses, flashes, camera bodies), repair or replacement (camera bodies all fail eventually and flashes do die!). 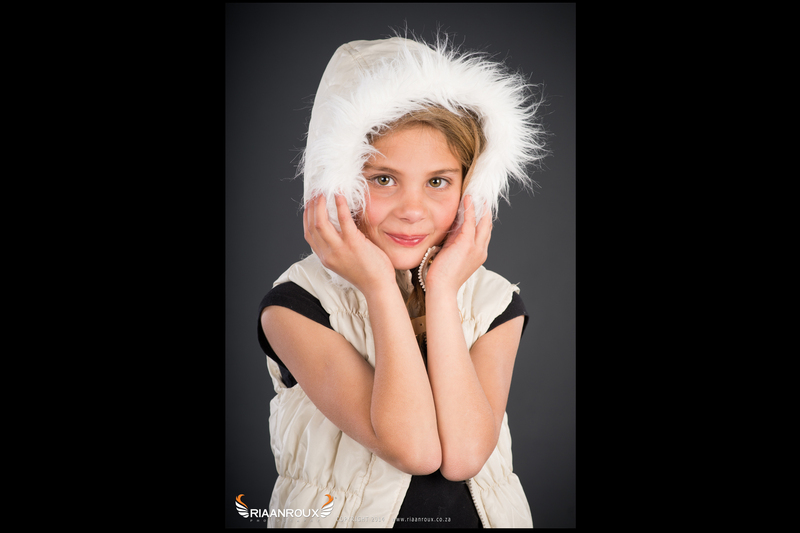 If you venture into the studio photography business arena the costs go up even further! If you are charging anything less than this you are shooting yourself in the foot… repeatedly. And if you are photographing less than 21 customers in a month your business as photographer WILL go under. This is not meant to discourage you, but to realistically show you that becoming a photographer is very hard work and becoming a “cheap” photographer who charges less than R480 per hour is not sustainable if you want to become a successful photographer! Though I plan to write another article later on “How to become a Wedding Photographer”, this calculation for survival will still apply. 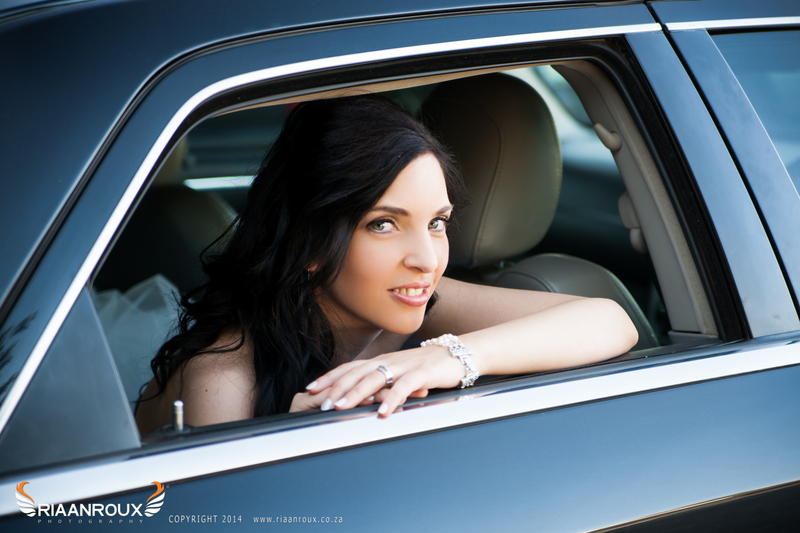 A wedding of 8 hours will produce 800 edited photos, based on the above shooting and editing guide, and your working total will be R480.00 X 8 which is R 3 840.00 (excluding any extras such as printing or albums!). And you will need to cover at least 3 weddings in a month to survive. The rest of your week will be spent EDITING photos day and night! Wedding photo editing generally takes 5 minutes per photo (you bridal couples are a lot more picky), so 800 x 5 = 66+ hours editing! Keep a lookout for follow-up articles on this subject. This is a very wide field and the business behind it is actually a lot more complex than it looks to cover in a single article. Looking to enter Miss Klerksdorp 2012? It is that time of year again where many hopeful young ladies line up to enter the Miss Klerksdorp 2012 and Miss Klerksdorp Teen 2012 pageant. Besides just filling in the entry form, entrants also have to supply 2 photos. The organiser, Klerksdorp Record, requires a recent full-length shot and a head and shoulders shot. Entrants will also be judged on these photos by reader who get to cast a vote, so it is important to submit photos that let you look your best! As a special offer to Miss Klerksdorp 2012 and Miss Klerksdorp Teen 2012 entrants, Riaan Roux Photography will make available a studio photo set of at least 10 professional photos at a cost of only R100.00 or R20 per photo the entrant chooses. You can get your two entry photos for as little as R40.00! Photo session takes just 15 minutes and photos can be copied to entrants cellphone, memory stick, flash disk or blank CD supplied by entrant. Photos are supplied unedited, but basic colour adjustment, exposure, contrast and tone correction may be done. Entrants under the age of 18 must be accompanied by guardian or parent. This photo offer will be available until the closing date for entries at Klerksdorp Record, which is 9 March 2012. Do not miss this opportunity to submit great photos! Entry forms are available in the Klerksdorp Record or from the Klerksdorp Record offices. 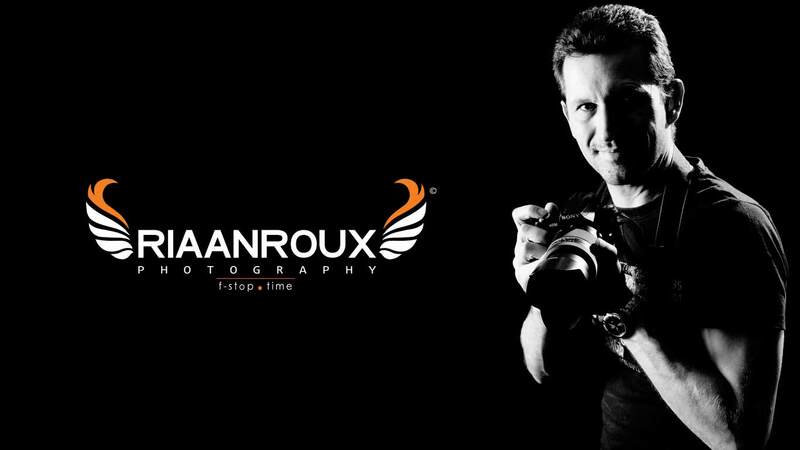 Riaan Roux Photography is in no way associated with this pageant. All ladies between the ages of 18-25 can enter the competition. Participants are not allowed to be younger than 18 years and may not be older than 25 years on 12 May 2012. Participants must be SA citizen and must work and live in Klerksdorp Record’s distribution area (Klerksdorp, Orkney, Stilfontein, Hartbeesfontein). Participants must be well behaved, have a good personality, a good general knowledge, good posture and approved education qualifications. Participants must be well spoken and be able to converse in English. Participants must be single and should not be engaged, divorced, pregnant or plan to get married in her year of reign. Participants, finalists and winners must have the interests of Miss Klerksdorp beauty competition and those of Klerksdorp Record at heart. Two recent photos (a full body as well as head and shoulders photo) must be included in your entry form. The closing date for the competition is 9 March 2012 at 15:00. No late entries will be accepted. All the participants photos will be published in Klerksdorp Record and readers’ votes as well as points scored in a semi-final will determine the 10 finalists. The winner wins an overseas tour that takes place in October. The winner is responsible for her own passport, etc. The prize is not transferable into cash and can only be taken during the school holiday in September/October. The winner must be available to Klerksdorp Record at all times and the winner must do charity work and be available for fund-raising throughout the term of wearing the crown. The winner will not be allowed to enter other beauty competitions during her year of reign – unless permission is given by the organiser. Entry Forms must be posted with photos to: Miss Klerksdorp, Klerksdorp Record, PO Box 650, Klerksdorp, 2570 or it could be handed in at Klerksdorp Record’s office at Sanlampark Building. Klerksdorp Record will not be held responsible for any injuries or damage suffered throughout the competition. By not abiding to the rules, finalists can be disqualified. Winners can lose their titles. All ladies between the ages of 14-17 can enter the competition. Participants are not allowed to be younger than 14 years and may not be older than 17 years on 12 May 2012. Entry Forms must be posted with photos to: Miss Klerksdorp Teen, Klerksdorp Record, PO Box 650, Klerksdorp, 2570 or it could be handed in at Klerksdorp Record’s office at Sanlampark Building. There are many arguments between camera owners regarding camera bodies and which is the best. Then there are arguments regarding types of lenses suited to general purpose shooting or specific types of shooting. I am not going to address different manufacturers of camera as I am partial to Sony and do own 5 Sony cameras (of which 3 are decommissioned due to age, though all working), but I will address lenses and the general argument around them. There is a permanent hunt by professional photographers for the perfect lens which can do everything you need; from wide angle to serious zoom (Tele-Photo), but until some manufacturer is able to produce such a lens we are stuck with making a choice between lenses, and always making a trade-off. A fantastic all-round lens would run from 10mm-500mm at f/1.4 and would be sharp as a razor at all aperture settings and focal lengths. But such a lens, if able to be produced, would cost an absolute fortune! Most camera manufacturers, including Sony, have what is referred to as a Kit Lens. This is a basic general purpose lens which usually runs in the region of 18-55mm with f/3.5-f/5.6 maximum aperture, depending on your focal distance. These lenses are usually produced from cheaper materials and glass to make them affordable to entry-level photographers. These “kit lenses” are often shot-down by professional photographers as “junk”, but that is only because they own better lenses. But are “Kit” lenses really that bad? The short answer is… NO! Yes, kit lenses feel plastic and cheap, and for the most part, look cheap. But that is exactly what they are… cheap. If these lenses were worth as little as the professional photographers all claim, why do you find them on most all entry-level cameras? Well, there is once again a short answer, they are good at what they are intended for! The kit lens is a purpose built general purpose lens built for everyday use by the enthusiast. The keyword here is “DAY” as these lenses generally perform poorly under low-light conditions and will require a flash. I currently use 6 lenses and have chosen 3 of those, which includes the kit lens, to demonstrate the quality difference. I will also use the same set of lenses on 2 different camera bodies to show the difference between an “Entry-Level” body and a “Professional” body. Many people believe that the Body is the most important part of a professional photographers’ kit, but here you will see that a good lens beats having a good body. I would rather shoot with a “pro” lens on an “entry-level” body than a “kit” lens on a “pro” camera body! Below is a set of images taken with different bodies, a Sony a230 “entry-level” and a Sony a55 “pro” body. For clarification purposes the a55 falls into the “mid-range” group on par with the same “mid-range” cameras as Nikon and Canon have. Very few photographers can afford the “top range” cameras by Canon, Nikon, Sony, Mamiya, LEAF, Phase1 or Hasselblad, and it accepted that anything above “entry-level” enters the “pro” arena. Most “Professional Wedding Photographers” use “mid-range” camera bodies! If your wedding photographer arrives with a R200 000 Phase 1 645DF you should expect to be paying R50 000 or more for your wedding photos! In the above images, which are 100% crops (ie., images were zoomed in to 100% and part thereof was cropped), they all look pretty similar! Even when you click on the image to get the full-sized image the differences look almost negligible to the naked eye. So what is all the fuss about lenses!!! The above images were taken under very good lighting conditions out in sunlight. This provides for pretty good photography, similar to everyday outdoor conditions used by enthusiast photographers. All the lenses were fitted with UV filters, even the kit lens, and this improves image quality in harsh sunlight as well. If you do not have a UV filter on your camera go to your nearest camera shop and buy one right now, it is the best investment you will make. I am not going to try and explain the advantages and technicalities of UV filters here, but you are welcome to google it if you really want to know what it does. The above images were also shot at f/8 which, on virtually any lens, makes the image as sharp as possible! Many, if not most, lenses lose varying degrees of sharpness the wider the aperture is set. Kit lenses suffer the most while in pro lenses it may be negligible. To the untrained eye the images seem the same, but once you see the large scale image (click on the image for the large view), you will note a slight desaturation and slightly higher contrast in the kit lens. The colour (especially purple) is slightly off and the lens is slightly less bright than the other two. The 50mm fixed-focal f/1.7 (it cannot zoom in and out; also known as a Prime Lens) is the brightest (slight) of the three and the 28-75 f/2.8 (zoom lens with max aperture of f/2.8 through zoom range) is a great all rounder. The Sony 28-75 f/2.8 SAM lens costs more than both camera bodies put together, but the investment is worth it! At large view of the image you will also note that the kit lens is slightly softer (less focused) than the other two which appear slightly sharper. Granted the Sony Kit lens is a pretty good lens but it still produces slight colour fringing (purple edges) when you look in the large view of the image. So why not just stick with the Kit lens? So why not just use a flash? Professional photography avoid using flash unless it is unavoidable. Flash is unnatural and once it fires directly from your camera it flattens the image and causes unflattering black shadows behind people. Using flashes (aka speedlights or strobes) is a subject all on its own and will have to be covered later. So what’s the difference between the “entry-level” and the “pro” camera? In most part the main difference between a “pro” camera body and an “entry-level” camera body is the image sensor and the functionality. Here it starts getting technical. Megapixels alone are not going to produce you a better image! The a230 is a 10.2Mp body while the a55 has a 16.2Mp body. If you click on the image above to get the large view you will note the slight difference in size of the crops (6Mp) between them. Is 6Mp gain that much better? NO! All it produces is a slightly larger image!!! In fact, the image sensor size (APS-C sized sensor in both cases) is exactly the same with exactly the same light dispersion and divergence for the same fitted lens. 16-18Mp has been found to be pretty much the upper limit for APS-C sized sensors since introducing additional pixels only increases the flawed characteristics EVERY lens produces. The only way this will get better is by increasing the sensor size, thus moving you to “top Range” camera which use “Full-Frame” sensors. I will cover this “mega pixel limit” at a later stage. So why not just shoot everything at f/8 to get sharp images? Again, f/8 is great for outdoor use where there is a lot of light, but as soon as light quality drops f/8 will result in slow shutter speeds which then again causes blurring (once you drop below 1/125). If you have a very steady hand you can shoot at 1/60 shutter speed, but only for subjects closer than 3 meters or so. Further than 3 meters you WILL get blurring (even with stabilization / VR or other anti-blur mechanisms), unless you use a tripod and your subjects are motionless. Your option here would be to open up the lens aperture to allow more light in (smaller f number). The smaller the aperture number the wider it is open. The downside to this is that lower quality glass used in cheaper or kit lenses will result in “soft” focus (images seem slightly out of focus). Try this with your kit lens and you notice a big difference between f/3.5 and f/8 shooting the same subject. Even pro lenses have this problem, but to a lesser degree and the higher the quality glass the less noticeable the softness becomes. So what lens should you get? This subject seems complicated, but is actually very simple. Here are the questions you need to ask yourself when considering a new lens. What will you be shooting the most? Where will you be shooting your subject the most? When will you be shooting you subject the most? How wide do you need to shoot? For the above you should be using a tripod if you are doing this professionally, so a fast lens may not be necessary, and you can get away with slow shutter speed. You could try a kit lens here, but at a wide angle kit lenses tend to distort slightly and become soft-focused. For the above a 24-70mm f/2.8 or 28-75mm f/2.8 is the most popular type lens as it cover a fairly wide angle but can zoom in tight enough for those detail shots. Here a 18-55 kit lens is wide enough, but 55mm is just too short to get close to the detail during the ceremony (unless you stand right beside the priest!). The kit lens also does not offer that light sensitivity (max aperture is 3.5) for indoor church shooting and is very soft at wide aperture. How wide – I want to get close to the action! For the above you want to look at the tele-photo range of 200mm-500mm with good quality glass which produces sharp images. You may not need big aperture if you events will be in daylight, but you want a lens that is sharp at its widest aperture when events run into late afternoon near sunset! Apply these questions to any lens you are considering as a guide and consider the manufacturers guidelines for use. Check out on-line reviews for any lens you consider buying and compare them to other similar lenses available. If budget is a constraint, then either save for that better lens. Buying a cheaper lens only to find it doesn’t do what you were hoping for is a waste, especially if you are into professional photography as a living. Remember that a camera image sensor can only record what it is given to record by the lens. Sensor technology has advanced greatly and the chances of a sensor being the cause of poor images are rare. What is Bokeh and how do I photograph it? In photography “Bokeh” describes the blurring or hazing effect that is created in the background of your image while retaining focus on a foreground object. Many people try to achieve this effect without success or do so haphazardly. There is a common misconception that you need a long zoom lens to achieve this, but I will attempt to explain how you can get this with any lens, including you kit lens. Take the focal length you have set your lens to, such as 50mm, then add a zero to get 500mm. This is then a good distance to be from your subject to get good background bokeh. Your subject should be 10 times the distance you are from them away from any background. So let assume you have set your 18-55mm kit lens to 50mm, you stand 500mm (1/2 a meter) away from the subject you want to photograph and the background is 5000mm (5 meters) away, you can expect a good bokeh. Your aperture should be as wide open as possible (Aperture should be set to the smallest number it will go.) It is therefore preferred that you set your camera to Aperture Mode (A or Av) and turn the dial to get the smallest number (widens the aperture). The shutter speed should take care of itself. Now using the above snap your shot and you should find the background nicely out of focus. Remember that once you move 20x your lens focal length away from your subject (on 50mm this would be 1 meter) the bokeh effect will rapidly fall away. There is another popular misconception that a prime lens such as a 50mm F1.7 will always creates bokeh, but this is not entirely true. A 50mm f1.7 at 1 meter from a subject does create more blur/bokeh, but the effect is essentially lost. Though prime lenses are suggested they are not always required to achieve good bokeh. Here are a few samples using different lenses so you can see the effect. The photo on the right was shot with a SONY 28-75mm SAM lens at f2.8 at 50mm, 500mm from the flower. This lens creates beautiful bokeh circles and strike an nice balance between background saturation and contrast. This is my favourite lens for weddings and studio shots. This lens is on my SONY A55 camera 90% of the time. You can still see some of the background, but the bokeh is just enough to make it look soft. The photo on the left was shot with a 50mm Minolta f1.7 Prime (fixed focal) lens. At 50mm with f1.7 it creates huge bokeh circles with a very soft look. The colour saturation and contrast is very similar to the SONY 28-75 f2.8 SAM lens. I prefer to use this lens in low light situations and it is usually fitted to my SONY a230 Camera. During those preparation shots with brides it provides a nice blur of the background in low-light situations. The photo to the right was shot with the SONY 18-55SAM kit lens set at 50mm and F5.6 (the one the usually ships with a SONY camera). You will notice the bokeh has an odd shape to it and is much smaller than with the above lenses. The background is also much less saturated with less contrast. Though this is not a bad lens, I hardly every use it and it is kept in my case only as a spare. This lens is a good all-rounder, but when you get into specific situations, especially low light, then lens shows its weaknesses. This lens is very similar to those NIKON and CANON camera ship with. These lenses are referred to as Kit lenses and are considered “beginner” lenses and not appropriate for any kind of professional shooting. In this case I stood about 3 meters from the flower to get the approximate same frame. Again this conforms to my general guide of 300mm x10 as a good distance to from the subject to get good bokeh. With zoom lenses you get way different light divergence which is a subject all on its own and will not get into here. This is a very old type lens, but it has replace my kit lens completely. It has a smaller, but perfect bokeh which is very appealing. The 35mm also gives you more background to work with which does make it a little busier than longer focal length lenses, but this is desirable in many cases. This lens is a stunning outdoor and landscape lens and I wouldn’t normally use it to achieve bokeh. The photo is here just as an example to show that bokeh can be achieved with any lens at its widest aperture. Note that as you close your aperture (bigger f number) your depth of field (DOF) increases and the background will come more into focus losing your bokeh. Achieving a nice bokeh with your camera in “Auto” (green mode) mode is rare as most cameras will average between the aperture and shutter to balance the exposure. This usually results in a larger smaller aperture which usually kills bokeh. Learn to take you camera out of “Auto” mode and look into using the “Aperture” mode more often. I hope the above explanation and guides help you find your bokeh!